Looking for the most unique gift for the person who has everything, or just want to have an awesome/strange conversation piece on your desk? 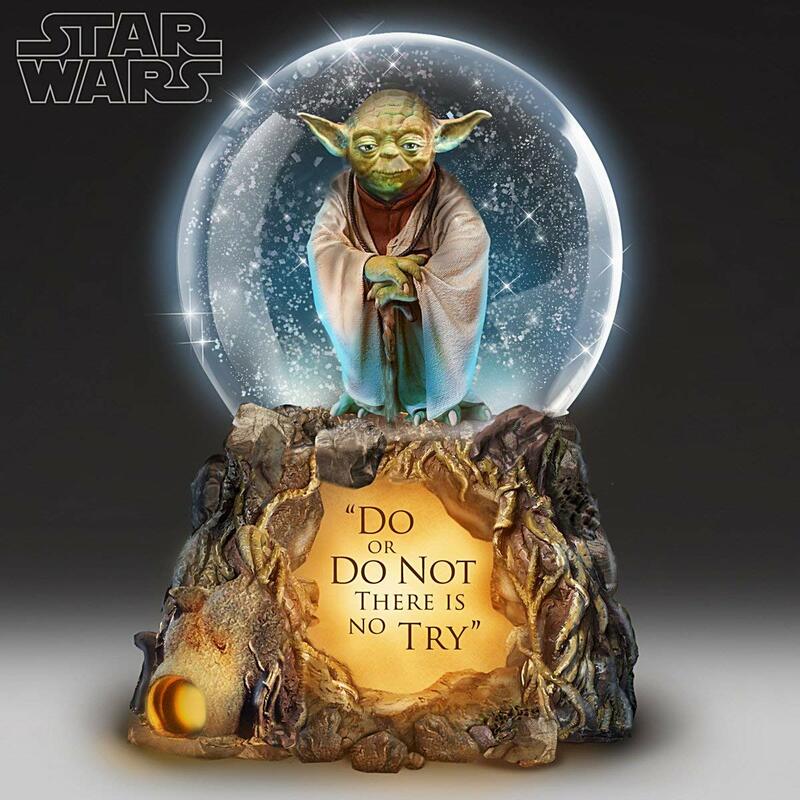 The Bradford Exchange STAR WARS Jedi Master Yoda Musical Glitter Globe with Lights and Movie Music ($100) fits the bill. It runs off of three AAA batteries and illuminate Yoda and the base while playing music from the movie.